Bump, the app that lets users "bump" smartphones together to share contacts and photos, is launching another service to let users pay the same way. It's called Bump Pay. It's a simple solution, powered by PayPal, and designed to solve the headache of splitting drink or dinner tabs. Similar solutions exist, including one from Venmo and even PayPal's own Bump-enabled app which came out in 2010. 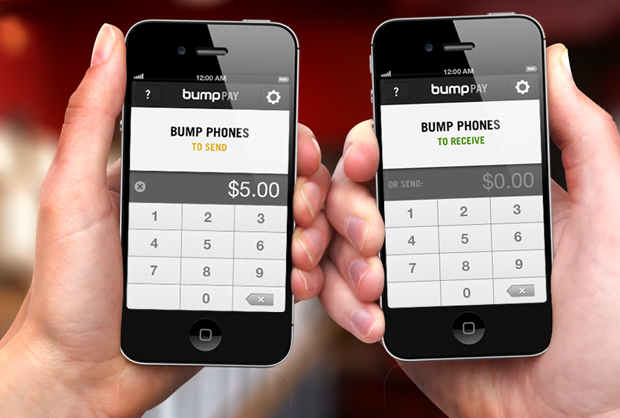 (ING Direct's tech is also made possible by Bump.) But now Bump, an app that's been downloaded by more than 80 million users, has decided to introduce a new app, rather than update its original.